With so few places to call home, humans have worked hard to make this into a bustling and prosperous city. On the lower levels between the districts, you’ll find merchants selling treats like cotton candy, freshly harvested crops, and hunter’s ale on tap. And like any large city in Tyria, there are crafting stations, weapons and armor for purchase, a bank, and of course access to the Black Lion Trading Post. Looking at each district, I’m heading counter-clockwise to the Eastern Commons. 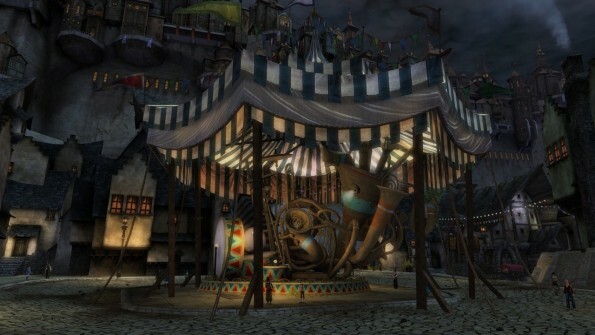 There is a lot of construction taking place here, including a new attraction: Thump-Em Ups. I have yet to see them release a public deadline, and some are worried the project will be scrapped. Speaking with people around the construction site, they brought up Queen Jennah, her success but also inability to quell the bandits. Everyone loves her, but some also see Minister Caudecus as a potential replacement. Our conversation fell silent when we heard some strange noises coming from a nearby sewer grate. I’ve heard rumors of drakes in our sewers before, but no one has seen any. 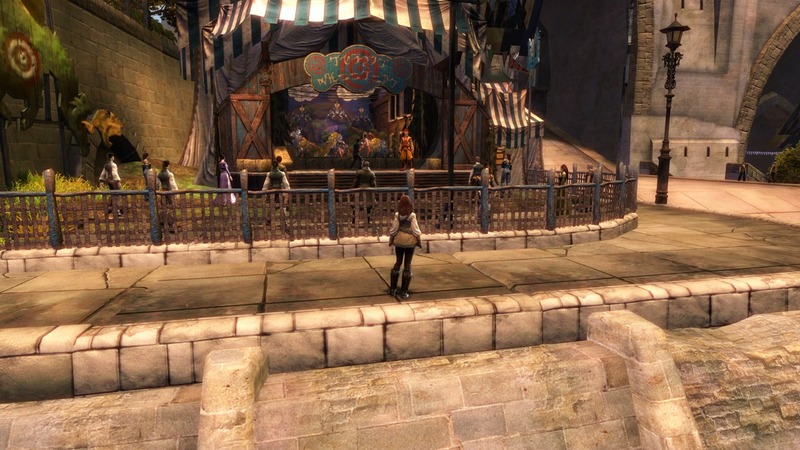 Speaking of Minister Caudecus, thanks to his funding, the Eastern Commons hosts Uzolan’s Mechanical Orchestra. It’s a wonderful sight to behold, but the music irritating. 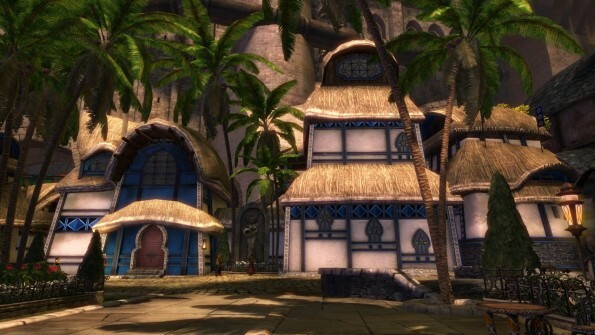 At the base of Kormir’s Low Road, connected with central inner wall is Durmand Hall; home of the Priory. The Durmand Priory are responsible for creating, promoting and teaching our New Krytan alphabet. 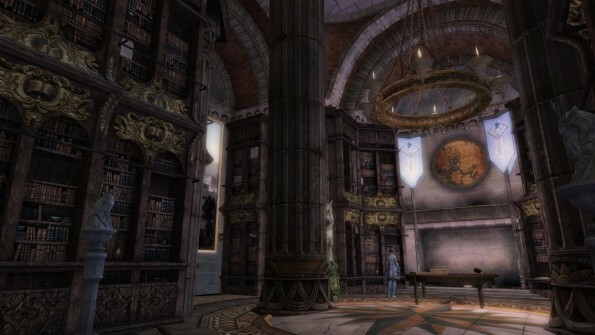 In Divinity’s Reach they house a library and provide some book carts, which are placed all over the city. 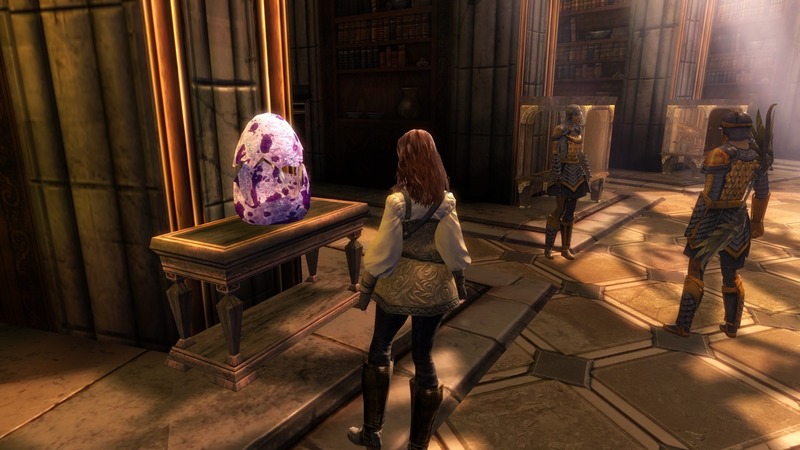 In the carts you can find such interesting books as Ghosts of Ascalon and Edge of Destiny. However the Curious Case of Bahltek has to be my favorite. 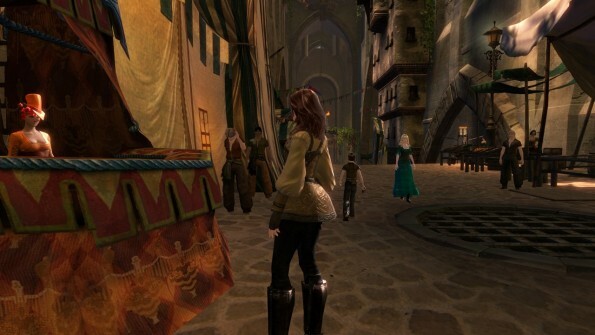 Crossing over Kormir’s Low Road into Rurikton, there is a plaza where scholars meet and share knowledge. What caught my attention today was a lesson provided by a Canthan scholar. I may not be a full blooded Canthan, but I yearn to find out more on my ancestor’s homeland. Tyria has been separated from Cantha for over a hundred years, due to Zhaitan’s rise. Before then, almost two hundred years ago, Emperor Usoku united the Kurzicks and Luxons by defeating them. His movement killed or banished non-humans and created an isolationist policy. I’ve read a great deal about the different factions of Cantha, and it’s sad to think that their culture is perhaps gone forever. The Canthan tengu faced genocide, and fled the country long ago for Tyria. 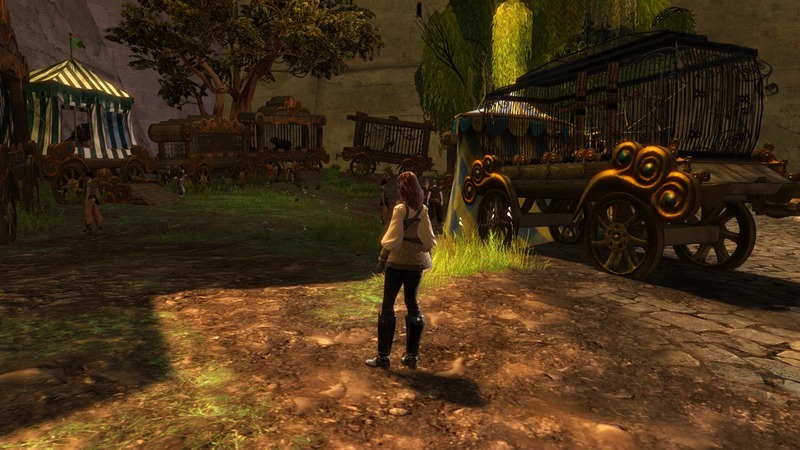 Apparently they live in the Domain of Winds, which is south of Kessex Hills and east of Caledon Forest. 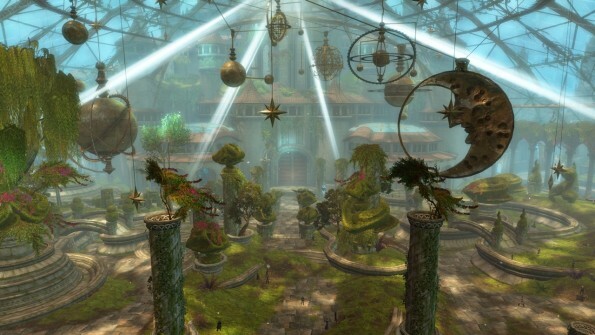 Minister Wi’s mansion in Rurikton hosts extravagant parties. Unlike Caudecus, I’ve heard little gossip about Minister Wi. His wife however, is said to have ties with a secret organization. 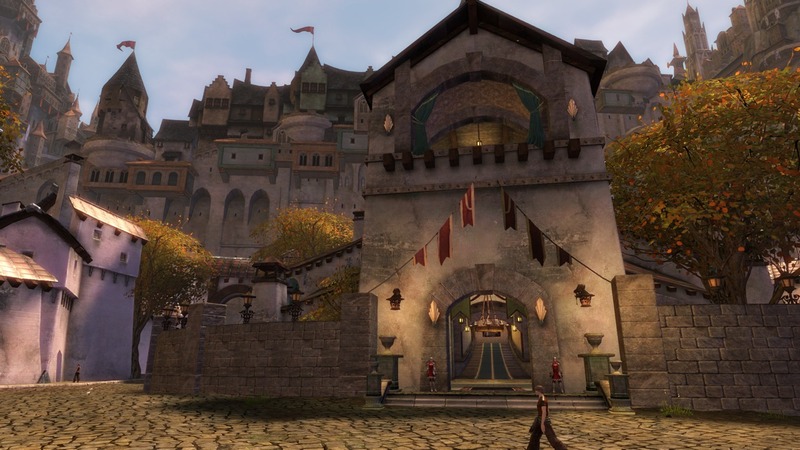 This district hosts an asura gate to the Stronghold of Ebonhawk in Ascalon. 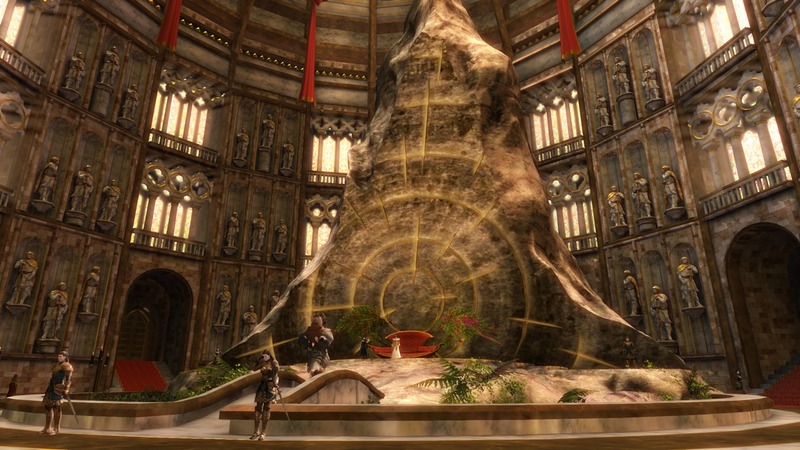 It’s the last refuge for those human Ascalonian descendants, and until the treaty, a defense against the charr. On the outside, the Maiden’s Whisper seems like any other tavern. But when I entered it’s basement I found Willow, an agent of the Order of Whispers. 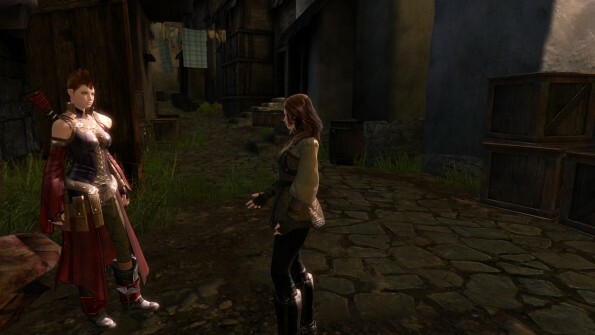 The organization doesn’t have a main building in Divinity’s Reach, so she must be one of their informants for this city. In general the Order of Whispers are very helpful and knowledgeable allies. Although most of this knowledge is only shared with members within the order. 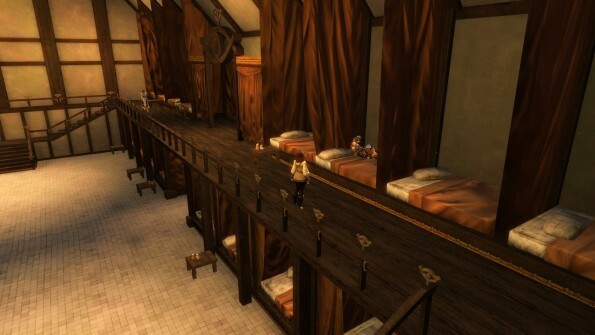 In Rurikton, some residents take their lineage very seriously. 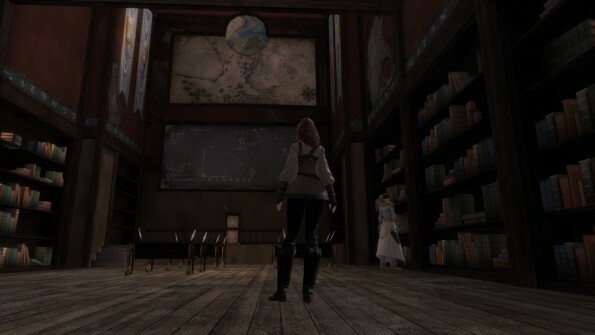 Four such people, Aleria Baptiste, Lyren Sandor, Aquila Elek, and Kenden Barunch can trace it back over 250 years ago. They are all the descendants of henchmen that traveled with adventurers after the Searing. The Salma District houses the Andrew’s Bar, Queen’s Heart Orphanage, and the Vangard Hospital. It’s also the district I grew up in and call home. Growing up poor in a large family meant I made friends with many unsavory characters. I lost Quinn, a life long friend due to gang violence when I had to choose between him and saving the city from being poisoned. It pains me that a choice had to be made, but he shouldn’t have crossed paths with Two-Blade Pete from the start. 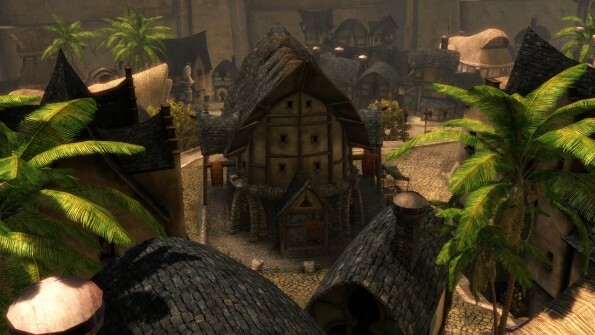 The citizens of Divinity’s Reach didn’t deserve to die of poisoning by bandits. That’s the decision I made, and the burden on my heart that I have to live with. I spoke with our other friend, Riot Alice in the alleyway we often met in. She acknowledged my presence and greeted me, but refused to talk about anything. Perhaps it’s the loss of Quinn, or the question of our friendship that’s turned into a grudge against me. For her sake, I hope she puts the past behind her and doesn’t die at the hand of gang scum. 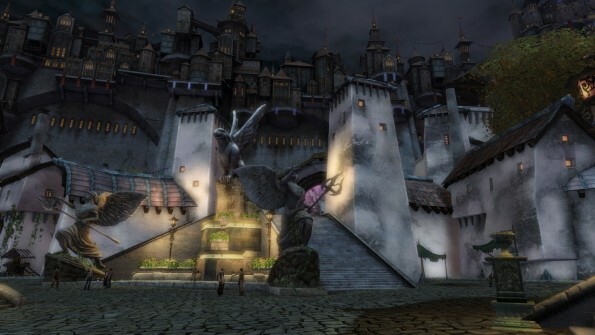 In tribute to Grenth, the Divinity’s Reach cemetary is located next to his plaza. There is also a vast underground crypt accessed from the nearby Skull Plaza, but you need a permit to enter. I’ve heard that the asura Blimm has a tomb down there. Passing through the Grenth Low Road, the Ossan Quarter houses humans of Elonian descent. No doubt named after the royal Ossa family. A lineage started by the famous Turai Ossa who defeaed the undead lich Palawa Joko, bringing prosperity to Elona. The Ossa name was later tarnished by his descendant Varesh Ossa who channeled the god Abaddon and almost brought about a cataclysmic Nightfall to the world. 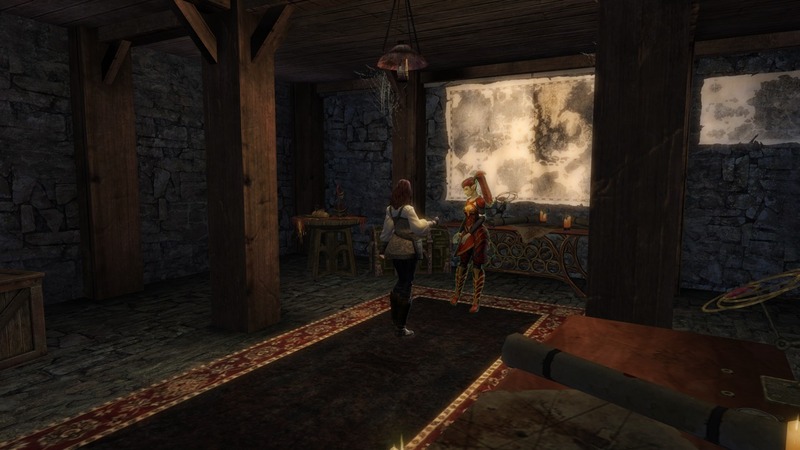 Again, with Zhaitan’s rise there has been little contact with Elona. What we do know is that about 190 years ago, Palawa Joko regained his power and conquered all of Elona. 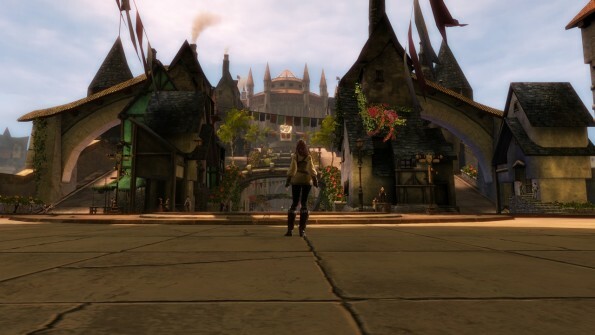 It’s no surprise why the people of Elona have fled to Tyria. Minister Zamon’s mansion is an extravagant example of the Elonian housing found here. Unfortunately the minister has run into trouble with the authorities, being convicted of thievery, murder and treason. I was not around to see the trial, but from I’ve heard, he invoked his right to trial by combat and lost. 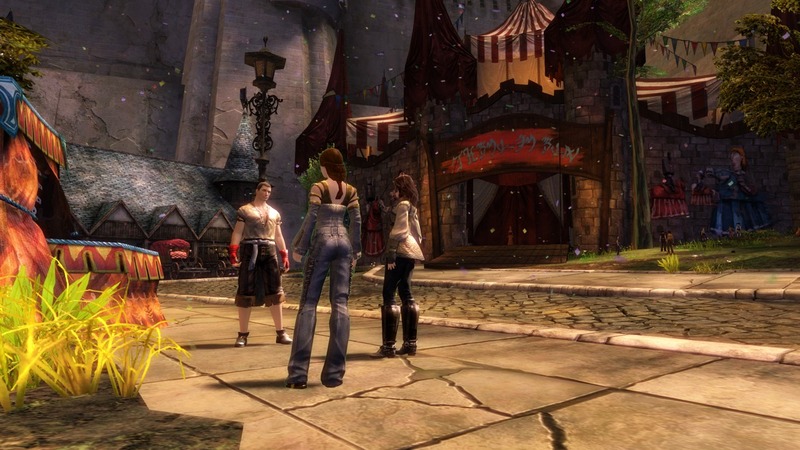 Continuing on past the Balthazar Low Road, I reached the Great Collapse. 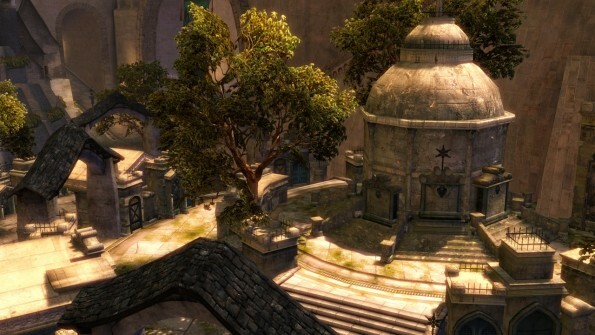 It was once the Canthan district, but the foundation was doomed and eventually collapsed. Fortunately there were warnings before the whole section sank, and everyone was evacuated and relocated. 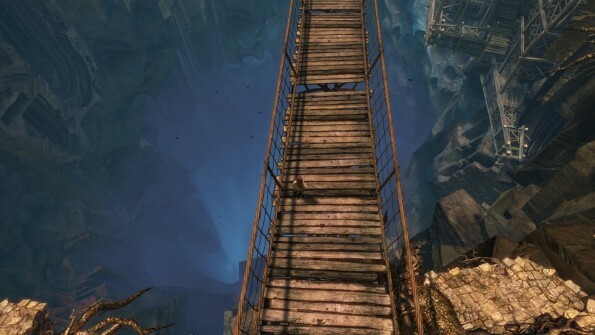 Taking a walk across the bridge over the collapse, the pit extends so far down that it’s floor cannot be seen. The Royal Architect told me the plans for it’s new foundation are coming along nicely. But it’s difficult to imagine how they’re going to fix this. 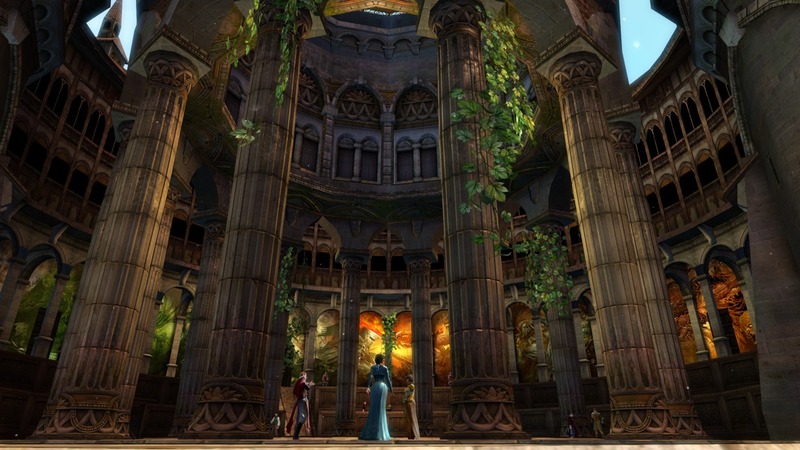 At the end of Melandru’s Low Road is the Vigil Hall. Like the other two orders, they bring an international presence to Divinity’s Reach. 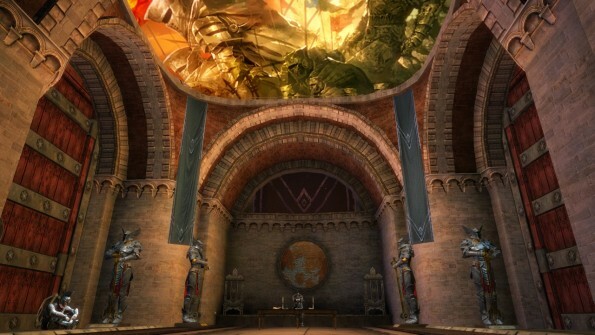 The Vigil were founded to kill the dragons, and they actively recruit more members here. Those that join often do it to travel and be apart of something bigger than the Seraph. The Western Commons lies between the Plaza of Melandru, and Dwayna to the east. Here you can get a tour of Haidryn’s Menagerie. Most of the animals on display are common, except for the black moa bird. 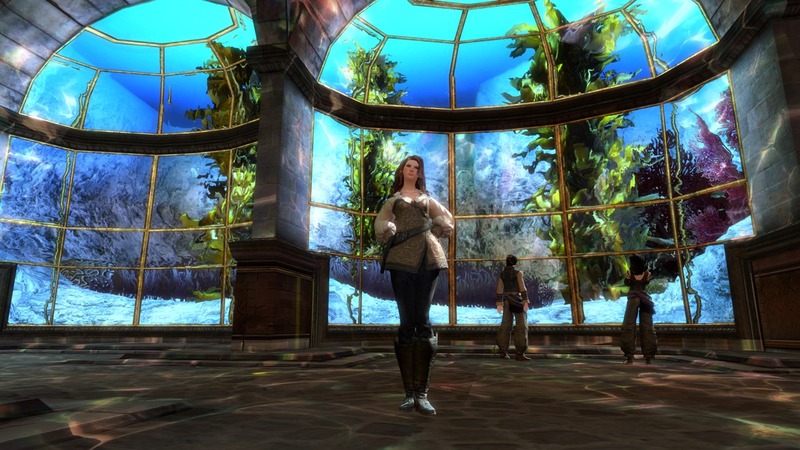 North of the Busted Flagon is another unfinished attraction: Mina’s Target Shooting. The game itself seems to be up and running, but it’s not open to the public yet. 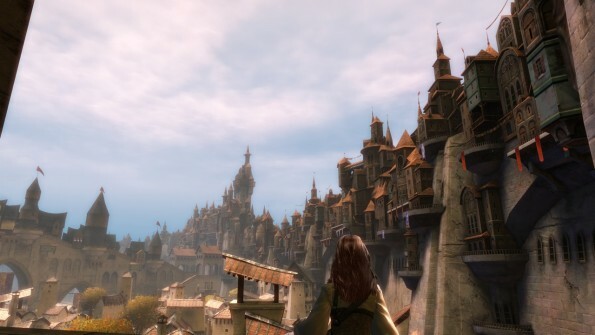 Looking up at the city, it’s walls are topped with even more houses and spires. In the Upper City, a hallway leading to the Central Plaza has glass walls filled with water and plants on the other side. Entering into the Central Plaza, the orrery and topiary are a breathtaking sight. 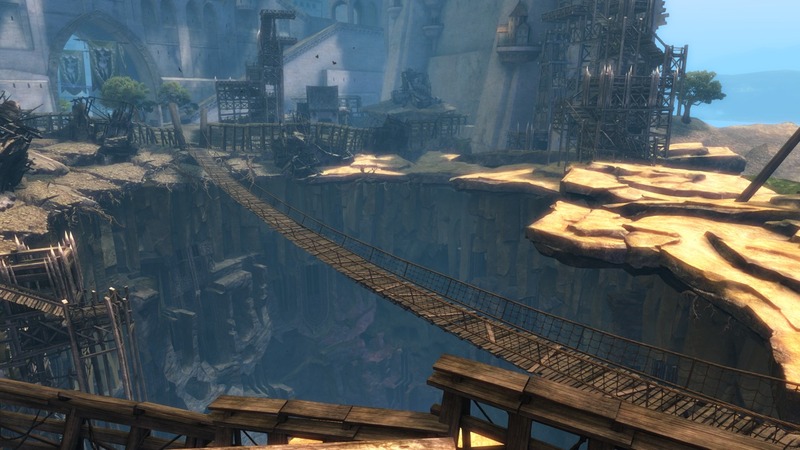 It’s also the first area visitor’s from the Lion’s Arch asura gate see when they cross over into Divinity’s Reach. On the southern end of the Central Plaza, politics and rumors are discussed at the Chamber of Ministers. Moving north, I entered the Seraph Headquarters. Logan Thackeray was at the front desk during this visit. Some dislike Logan, but he’s an important hero to humanity. He spends a great deal of his time attending to matters related to the dragons, but maintains his job as Captain of the Seraph. I know he must enjoy the job because it brings him closer to his beloved Queen Jennah. 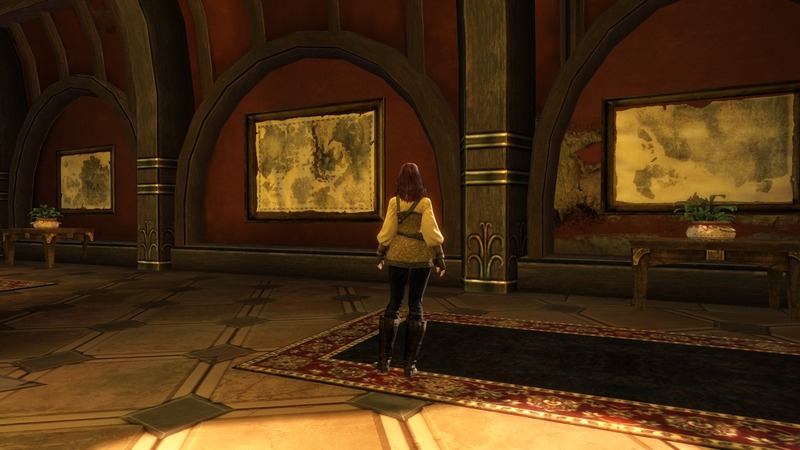 Upstairs there are three maps: Cantha, Tyria, and Elona. They are not the most detailed maps I’ve seen, but useful in portraying what the continents look like. The other noteworthy sights in the headquarters are various treasures. Unfortunately none of them have name plates or descriptive plaques. Next, I visited the Shrine of the Six. 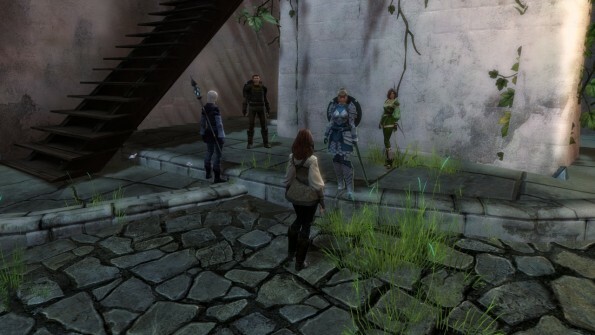 It’s devoted to the human gods Dwayna, Melandru, Kormir, Lyssa, Grenth and Balthazar. The gods no longer answer our prayers, leaving some people to lose faith, and others taking their silence as a test of faith. It’s unknown why they left, especially when dragons ravage Tyria and as humans have but one kingdom remaining. 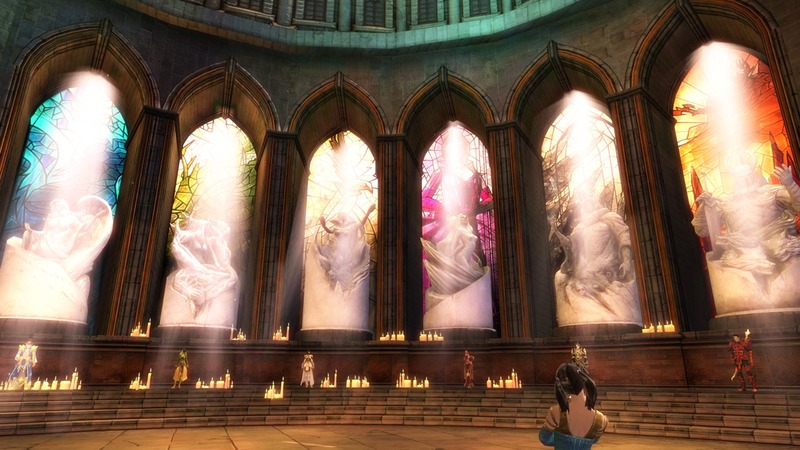 Some people devote their life to preaching about the six, and send prayers in the hopes that it will draw the gods’ gaze back to Tyria. I have little faith in the gods, but if they return I will gladly send Melandru my thanks, knowing it won’t fall on deaf ears. Lastly I visited the Queen’s throne room. 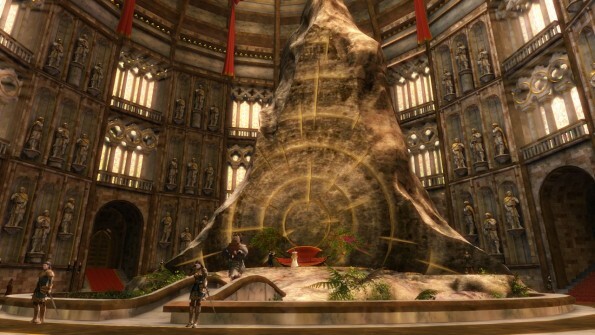 Her royal palace walls are decorated with impressive statues, and her red throne is backed by a large stone with a strange marking. Queen Jennah is accompanied by Countess Anise of the Shining Blade and her cat Shadow. The Shining Blade are her personal guard, and often deal with matters too sensitive or secret for the Seraph or especially the Ministry Guards. Their history goes back over 250 years when they opposed the White Mantle regime and helped Princess Salma retake Lion’s Arch. 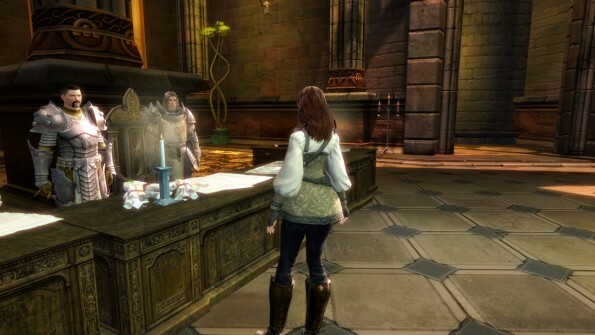 I’ve yet to actually see any White Mantle in Tyria, but they still meet in secret, I’ve heard. From eye witness accounts, they don’t even wear the same distinctive white robes. Dressing as common humans do, it’s impossible to pick them out from a crowd of people. It’s strange to hear this organization still exists, since their mursaat masters died out a long time ago.